5G is missing discussions around tangible use cases. 5G dominated last month’s agenda at Mobile World Congress 2018. At telecoms industry’s biggest global event, you could not move for proclamations of the benefits of 5G and the roadmap to its adoption. How 5G will deliver a “fully immersive” experience, its potential to become a key factor in creating a “seamless virtual reality” and the key requirements for building a “secure 5G network” were just some of the themes discussed during the event. Some have already moved beyond talk, like Chinese telecoms provider ZTE, which will launch 5G smartphones and tablets before the year end. With the race to launch the first practical applications of 5G in full swing, the commercial 5G deployment is expected from 2020. As such, there is little doubt of the encouragement and momentum that has built around 5G, and to see this experience well described to 100,000 visitors at Mobile World Congress 2018, certainly served to fuel the excitement. But while many operators have been quick off the starting blocks to highlight their progress towards 5G readiness, what was lacking at MWC was a view of what 5G would actually do. 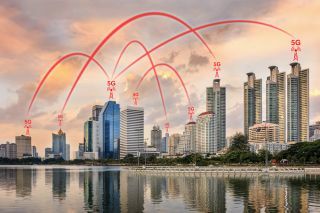 5G stands to benefit every industry but what was missing is a discussion around the tangible use-cases that will highlight the value that will position 5G as a viable model on a commercial and infrastructure level. Let us explore this further. What are the use-cases it will enable beyond the ubiquitous connected cars on every stand? And what are the commercial models that will justify the investment? For example, a 5G-connected drone might reduce 90 per cent of remote site inspection costs, but what is the commercial model that will compensate the network provider who may just be providing the connectivity? And is 5G really required for that use-case? While the promise and the potential is there, there is still a clear need to investigate the “return on investment” led opportunities that 5G allows. There’s little doubt that the potential for 5G for impacting multiple industries, but just how this is deployed, and how the commercial benefits will be realised still needs to be discussed further. If we drill down further, for the telecoms industry that has invested more than $1.2 trillion globally in its networks since 2010, any new investment needs to be met with an expectation to generate a return. Some experts estimate that 5G may require network investment of $250 billion in the US alone. As such, with so much initial outlay, the numbers do not seem to add up, yet. Nonetheless, it was reassuring to hear Sigve Brekke, CEO of Telenor, state that he would not push 5G until they identify real use-cases. He expects this fifth generation network to be rolled out more gradually initially, with the first deployments for Telenor being driven by specific business cases rather than their own eagerness to test and trial its capabilities. So, from Telenor, we won’t be expecting a big investment plan like the one they had on the upgrades from 3G and 4G, at least in the early stages anyway. With this in mind what is the route to creating a viable commercial model? Well, for 5G to make absolute commercial sense, we need to look past the hardware – the VR headsets, the drones and the autonomous vehicles – and recognise that a new infrastructure model is needed to support use-cases that have a chance of creating a commercial return. When it comes to 5G, the traditional telecoms logic of build-your-own network infrastructure on which to provision services may not hold. Services will need to be cloud-based with a global reach. Leading international enterprises that will power the Industrial Internet of Things will expect one solution to work globally. This will then play into the major scenarios for 5G application, which include Internet of Things and enhanced mobile broadband. When it comes to infrastructure, adjustments will need to be made here on a number of different levels. For example, infrastructure may need to be shared and partnerships created, between the network operators and global cloud providers such as AWS and Google. When one person controlling a machine can manage, in real-time, a network of millions of sensors dispersed across the world, the concept of partnership needs to go much deeper than what we are currently seeing today. There is also the question of timing for 5G infrastructure investment. If the investment is made too early, then there is the risk of high network cost and technology implications, but conversely, if the investment is made too late then there is the risk of losing market share (as late deployers of LTE have found out to their detriment). As if telecom CFOs need another reason to keep them awake at night. Ultimately, 5G is fast approaching and there is still a need to ensure that this “Aladdin’s cave” of what it represents delivers on both a commercial level and infrastructure level. New models will need to be explored and network operators will need to adjust to working in a completely different way than they have ever done before. How this rollout develops beyond the race to showcase the first 5G ready phones and its practical applications so that is delivers a viable benefit across industries will be watched closely over the rest of the year. In the race to become “5G ready”, developing the right infrastructure and commercial models will ultimately be key to unlocking the potential that this represents.